A fabulous location, lovely house, great amenities. We had a wonderful time . We had a fabulous stay in this property. 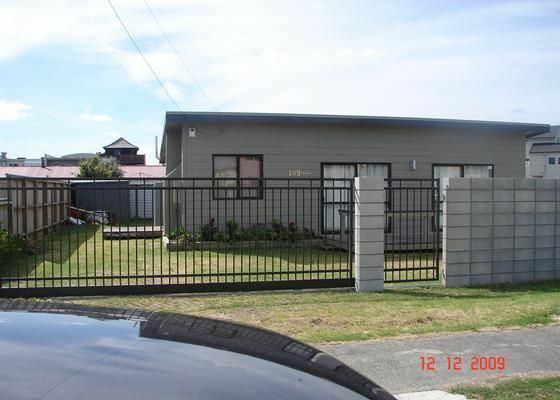 The house is in a very central location- close to both beach and shops. House was really clean and comfortable and had outstanding amenities . Great little kiwi Bach, and although quite small felt spacious and uncluttered. Outdoor warm shower was good & private at rear of property after beach swim.The location for us was excellent , main street, shopping, café and beach access only a minutes walk only used car if we were getting groceries at local supermarket. We were able to take our dog, outdoor area & shed was awesome, property also fully fenced. Great holiday would rent again. The property had everything we needed and in a fantastic location. Would definitely rent again.